Sometimes, a cat is a dog. There’s been a LOT of press in recent months about how much more successful Health Savings Accounts (HSA’s) have been than Medical Savings Accounts (MSA’s) ever were. It seems that everyone’s talking about them, and they’re selling like hotcakes. Turns out, a LOT of folks -- particularly employers who offer health coverage – are asking about HSA’s, but precious few are actually installing them. Why is that? Well, it helps to know that HSA’s aren’t free. That is, just because the employer may save some premium dollars (and not as many as one might think), it doesn’t mean that he gets to keep them. By the time one adds in the actual contributions an employer has to make to the savings account to make it attractive (or even palatable) to employees, the savings don’t amount to much. Then, add in the admin costs, and all of a sudden they’re not so great a bargain. Don’t get me wrong, I am still a tremendous advocate of the concept; I just have some issues with the execution of it. The problem is that HSA’s really aren’t about saving money; they should be about empowering the health care consumer to make better decisions (however one chooses to define “better”). In any case, what I’m finding is that more often than not, when employers talk about HSA, they really mean HRA. What’s an HRA? It’s a Health Reimbursement Arrangement (notice the “A” here is not for “Account”). With an HRA, the employer still offers a plan with a higher deductible, for example, but offers to subsidize said deductible. In other words, instead of just handing out dollars willy-nilly, the employer can control to whom the dollars go, and can actually look forward to potentially saving real money. Next time, we’ll look at an actual case. This week's Grand Rounds is up over at Health Business Blog. Joe Kristan at Roth & Co, tipped me off to a rather interesting forum recently held in our nation’s capital. The panel included members of the President’s Advisory Council on Federal Tax Reform, and included folks from The Heritage Foundation and the Galen Institute. Robert Moffit of the Heritage Foundation added that "(i)f you want to reform the health insurance markets, you must reform the tax system." He went on to advocate the elimination of the tax-free status of employer-provided health insurance. Right problem, woefully wrong answer. If one frames the dilemma in those terms, then the only fair, equitable, and reasonable answer is to make health insurance premiums deductable for everyone, not just those covered under a group plan. That would solve a lot of the affordability problem simply and rationally. It also blithely ignores the rising impact of qualified reimbursement plans, such as HRA and HSA. 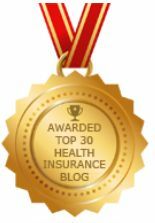 These serve several purposes, not the least of which is empowering insureds to be more proactive in their healthcare, and raising their awareness of what coverage and services really cost. As one could imagine, this issue has caused quite the kerfluffle in several areas of the blogosphere, including insurance and tax related sites. Over at Tusk & Talon, Chad posits that “(t)here would be a massive amount of social upheaval if the employer based system were scrapped either in favor of socialized medicine or free market individual health insurance.” He’s concerned that the costs of transitioning to a system where these tax breaks are absent would be staggering. He’s also concerned about how such a change would affect availability and quality of coverage. Back in April, we dissected an article by Dr Greenburg of George Washington University in Washington. He also proposed this course of action, believing that this would make the coverage even more attractive. As we stated then, and restate now, the tax advantages of employer-based coverage are, if anything, a minor issue. Let’s review for a moment the underlying raison d’etre of this tax deduction: During the 2nd World War, private sector wages were frozen. Employers still needed to attract employees, though, and so lobbied Congress to let them offer benefits tax free. This seemed like a good idea at the time, and it has now become enshrined in the pantheon of worker bennies. So, would eliminating the deduction really cause widespread panic? Conversely, would such a measure resolve the issue of the uninsured? No, on both counts, because the whole issue of group insurance deductability is a straw man. The real issue is benefit configuration, guaranteed insurance and portability. That is, group insurance (typically) covers more things than individual, e.g. maternity expenses. And, because group coverage is by law guaranteed issue, folks don’t have to worry about being declined for coverage, or having pre-existing conditions excluded. Neither of these area are even remotely addressed by eliminating tax advantages. If anything, such a move would highlight the very real benefits of availability and portability, and underscore how very little the tax break figures into the equation. The good folks over at T & T express the understandable concern that they’d “likely be out of a job if (this) proposal were to become law.” While I won’t pretend to offer vocational advice, I’m less sanguine about this possibility. From the time I got into this racket some 20 odd (or these odd 20) years ago, I learned that when Social Security was first proposed, life insurance agents panicked, convinced that their business was doomed. And in the mid-60’s, when Medicare came into being, the health insurance industry reacted in much the same way. Of course, history teaches us that neither eventuality occurred. One of the fun things about blogging is being able to relate true (but potentially boring) stories, in an entertaining way. Well, hopefully entertaining. Insurance carriers each do things their own way. For instance, some carriers charge for each child they cover, while others charge a flat rate, regardless of the number of progeny involved. The latter case is a good deal for large families, but not such a bargain for smaller ones. Another nice lady calls in to discuss health insurance (this tends to happen in cycles, so I don’t keep the little “Take A Number” sign out all the time). Her group coverage at work is getting expensive, and she’s looking for ways to trim the budget. So far, so good. She is married, and they have one child, a teenaged son. Her contribution toward the group plan is about $230 a month for herself and her son, plus another (whopping) $600 for hubby. That’s over $800 a month that she pays out of pocket (I didn’t ask how much her employer contributes, because it didn’t seem relevant). She asked me to price an individual plan for her family, so I began – as I usually do – by asking questions. Turns out that she and her son are healthy, but hubby has some blood pressure and cholesterol issues. Okay, that adds to the rate, but nothing too bad. Plus he’s too short for his weight. Again, this doesn’t help, but it’s not a huge deal (no pun in 10 did). At this point, I stop her, and we go back to square one, which is a more detailed breakdown of her premiums. It occurs to me that, given that hubby’s uninsurable in the individual market, maybe we can find a different solution. It turns out, a policy on her son is about $75 a month. But if we write it, and take him off the group plan, they save over $200 a month. How is this possible? Remember how we saw that some carriers charge a flat rate, no matter how many kids one has? Well, she’s actually paying for 3 kids worth of coverage now, and we can reduce that substantially, while keep coverage for her husband intact (vitally important in this case). So, it really does come down to just asking questions. It is axiomatic that demand drives price. That is, if there’s a particular item that is greatly sought after, the price of that item will (almost) inevitably rise. At least until something better comes along. At which point, the cycle starts again. And so it is with health insurance, as well. Sure, there are risk factors and market pressures, underwriting issues and pre-existing condition exclusions. But by and large, insurance is subject to the whims of the marketplace. First, people do vote with their feet. Those that rebel at the notion that the gummint is once again intruding into what should be a personal buying decision may well just pick up stakes, and vamoose. Second, if something becomes mandatory, then the demand is, of course, going to go up. Given that that are a finite number of carriers, with a finite capacity for new business, prices will start to climb, and eventually become even more onerous than they are now. Third, what about those that either don’t want to purchase, or can’t qualify for, insurance. Well, then, they’ll have to post a bond (or demonstrate that they have sufficient assets) to cover their medical expenses. Which is fine if we’re talking about the flu or a broken arm, but becomes problematic when we’re talking stroke or MS.
Fourth, and perhaps most critical is: “Or else what?” It’s one thing to mandate that folks buy coverage (or put aside funds), but where are the teeth? Is he proposing jail-time for “offenders?” Maybe a fine for those who underfund their accounts? Without some enforcement mechanism, such a law is worse than worthless: it’s a step backward. The Illinois Department of Health will publish the average charges for as many as 30 common outpatient procedures. “It is important that information be obtained on all surgeries to get a more accurate picture of this component of health care,” said Dr. Eric E. Whitaker, state public health director. Okay, I’m done laughing now. Since when is the price of a surgical procedure the overriding consideration? When was the last time anyone ever called to get 3 estimates for their gall bladder surgery? How about having that tumor excised? Are we really expected to believe that silly measures such as this, full of feel-good nanny-state “disclosure” will somehow affect the quality of care? Hardly. First, those that have private insurance (i.e. group at work or their own individual medical plan) already have discounts built into their plans, and a 3rd party which is paying a good chunk of the bill. It’s doubtful that price-shopping their next surgery is going to be a priority. The last (and least, in terms of numbers) group, those without any insurance or government aid whatsoever, is perhaps the least interested of all. If they have no means to pay for these procedures, what difference does it make what they cost? The only folks who benefit from superficial, silly legislation like this is the political class, which can be seen as “caring for the little guy,” but actually accomplishing nothing. Interestingly, I noticed that the bill doesn’t require the publication of success rates. In other words, one could find out the cheapest place for a given procedure, but not necessarily the best place. Remember, though, you get what you pay for. And one more thing: nowhere in the press release does it say how much this little project is going to cost the Illinois taxpayer. I wonder if they’ll pass a law that requires government agencies to publish how much they spend implementing these things. Welcome Grand Rounds visitors! Glad you dropped by. Please take a look around, and feel free to leave a comment. The nice lady called about 4:30 on a Tuesday afternoon (and no, the sky was NOT “dark and gloomy.” Sheesh). She was calling, she said, to find out about health insurance for herself and her family. She’s self-employed, and her husband wants to quit his job to come work with (for?) her, but they’re loathe to give up his benefits. One of the first things one learns in this business – and then most of us promptly forget – is to ask a lot of questions. Which I proceeded to do. It turns out that she’s actually on several meds, including self-administered insulin injections, and she has some other problems, as well. She and her husband desperately wanted to be in a position for him to quit his job, but were faced with job-lock due to her condition. Sometimes, things seem hopeless, because you’re too close to the problem, and because you just don’t know about alternatives. It’s an agent’s job to inform prospects and clients about these options. Oh, and since her husband is quite healthy, it’s no problem setting him up with his own major medical plan. Problem(s) solved. ADDENDUM: This is an example of why it’s so important to work with a local, independent agent, as opposed to one of those online services. The anonymous person at the other end of the 800# or email has products and knowledge geared toward the “normal” case. Throw any curveballs (such as diabetes, or thyroid conditions, etc) at such a service, and the most likely response is “Sorry, can’t help you.” Granted, they are unlikely to hang up on you, as apparently happened to this woman. But they’re not going to be much help, either. 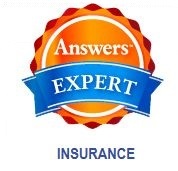 A knowledgeable pro will know about guaranteed issue plans, HIPAA and COBRA issues, and even non-insurance alternatives. Most group insurance plans cover your post-teen progeny only until they graduate. That is, if they’re not full-time students, they’re not covered. This is of no small concern, because there are a few options available, and it’s important to pick the right one. If he’s headed to grad school, you may be able to keep him on your plan. Check your certificate, or call your HR department. If he must drop off, and he’s in good health, and you KNOW he’s starting back to school in the fall, then a Short Term Medical (STM) plan may be appropriate. The advantage of these plans is that they are inexpensive, easy to buy, and you pay only for the time you (think) you’ll need the coverage. Check with the grad-school to see what options are available once school starts. Likewise, if your grad is headed into the “real world,” and has a job already lined up (WooHoo! ), be aware that there is usually a waiting period between when the job starts and when the coverage begins. The STM is appropriate in this case. If your grad is unsure about future plans, a better idea would be to purchase an individual major medical plan, preferably one with a $1500 or higher deductible. These plans are underwritten, and generally cover (disclosed) pre-existing conditions. And there’s no “expiration date,” so they’re more flexible if there’s a continuing need. They are typically more expensive than STM plans, but are the better choice for needs longer than, say, 3 months or so. If your grad has a serious health condition, and doesn’t qualify for the major med plan, then check to see if your company is subject to COBRA. If there is a serious condition, you really don’t want to go the STM route, for a variety of reasons. If your company is subject to COBRA, by all means elect it for your grad. Yes, it can be expensive, but it will cover the pre-existing condition(s), and offer more long-term options. Sorry for the pun, but I couldn’t resist. The last few postings here have dealt with some of the shortcomings of our health care delivery and finance system, and the temptation is to look northward at “free” healthcare. “The Supreme Court on Thursday struck down a Quebec law banning private medical insurance in a decision that represents an acute blow to the publicly financed national health care system." The reason that this is significant is that Canada’s much-vaunted nationalized health care system has quite a few problems, not the least of which is long waits for even simple procedures, and often fatal waits for more critical ones. The problem is exacerbated by a law which made it illegal for desperately ill patients to seek care outside the system, even if they could pay for it themselves. Baruch Tegegne, now 61, has advanced kidney disease caused by diabetes. He undergoes dialysis four times a week, and is deteriorating. He's on a waiting list for a kidney transplant, and a private donor has been found. The problem is that the Montreal hospital which would do the actual procedure is refusing to do so, on "ethical grounds." But that's a subject for another post. The point here is that another hospital, in Toronto, is apparently willing and able to do the transplant. But in Canada, the "free healthcare" isn't portable across provinces, so the system won't pay for the procedure if it's done in Toronto. The implications of such a system here are pretty scary. An Israeli hospital has offered to do the surgery, at a reduced rate, and fund-raising efforts are underway to make this happen. But the real tragedy here is the impersonal and unbending system that has placed someone in this position. And I’m sure that Mr Tegegne isn’t the only Canuck who faces this problem, but his story is illustrative of a system which is not, IMHO, an appropriate replacement for our own. Once there’s rationing, then the system itself encourages folks to seek alternatives. As it stands, those best able to afford treatment get it, somewhere. And those least able to afford such alternatives languish or, in many cases, die in line. Something to consider when our political class – of either stripe – propose drastic governmental solutions. For a somewhat different perspective, I recommend Dr John Ford's take on this over at California Medicine Man. Several years ago, I had a client who apparently longed to win a Darwin Award: while riding his motorcycle, he decided that it would be fun and/or prudent to play “chicken” with a Ford Explorer. CareFlight scraped up the bits, and flew them to the local trauma center, which proceeded to perform over $20,000 of medicine on said bits. Needless to say, this was of little efficacy. The client had $15,000 of term life through the group health plan. The employer, and premium payor, was his folks’ small business. And they took responsibility for making – and paying for – the funeral arrangements (which, given the circumstances outlined above, was no small thing). Naturally, I helped them file the Death Claim, and we awaited the check. Which came to me payable not to the deceased’s parents, but his ex-wife. As you can imagine, this took both his parents and me by complete surprise. Now, as an aside, I should have known this would happen, being the agent. This took place about 15 or so years ago, and I really don’t recall why I was blindsided. I’ll plead ignorance, and move on. In any case, this story did not have anything like a happy ending, except that I learned the hard way that folks need to KNOW who their beneficiaries are. How many people still have former spouses listed as the beneficiary on their group insurance? How many newlyweds have policies taken out by their parents when they were but wee folk, and whose parents – not their new spouse – are still the beneficiary? The point here is that, if you haven’t checked your policies lately, it’s never too soon to make sure that you’ve obligated the company to make sure that the right person gets the cash. While there is some disagreement as to the exact number of folks without health insurance, the number most commonly bandied about is 45 million. And, of course, this is a “fluid” number in that, in any given month, it is not the same 45 million. And, of further course, absence of health insurance does not equate with absence of health care. Nonetheless, this is a serious problem, and merits serious consideration. While our politicos – elected and otherwise – jockey for position(s) on addressing the problem, a disparate group of organizations, companies, and institutions have been meeting to brainstorm from a more broad-based perspective. Representatives of these groups have been meeting since last October and, not surprisingly, haven’t yet solved the problem. But at least they’re trying. What’s promising here is that these groups recognize that simply pointing the finger of blame solves very little; indeed, the fact that there is cooperation from both the private and public sectors may be what finally resolves many of the underlying issues. An encouraging sign is that “(T)he group is leaning toward incremental solutions…an approach that might disappoint purists on the political left and right. But increments -- substantive increments -- offer the best short-term hope for progress at a time when partisan dissension, especially in Washington, has caused political paralysis on health care.” Couldn’t have said it better m’self. This effort is only about 6 months or so old, so it’ll be interesting to see what, if any, recommendations are forthcoming. As a fan of the free-market, I would prefer to see solutions coming from broad-based coalitions such as this, as opposed to some monster thought up by our political class. I've added the Haloscan commenting and trackback system. Unfortunately, this process deleted all the previous comments -- Ooops! PLEASE don't take this personally...I really enjoy the comments here. Well, actually, he is. And to his credit, he wants to do something about it: he wants to undergo weight-loss surgery in order to treat his morbid obesity. Which is commendable, if drastic. And he wants his insurance to pay for it. By and large, carriers do not cover weight-loss surgery. Or stop-smoking programs, infertility treatments, or growth-hormone regimens. There’s actually a very good reason for this: they are not issues which should be covered by medical insurance. Look at it this way: do we expect our auto insurance to cover oil-changes or transmission repairs? Do we rely on our homeowners insurance to pay for leaky roofs (I’m talking about ordinary wear-and-tear, not hail or tornadoes) or cleaning out our chimneys? Insurance is expensive enough without adding even more overhead to plans. Is it discrimination against obese folks? Yes, but discrimination is not, in and of itself, a bad thing. We all discriminate: Wendy’s over McDonald’s, steak over chicken, Honda over Kia, the list goes on. Carriers discriminate against smokers and diabetics, males and females, teenagers and seasoned citizens. Risk-management means that certain classes of folks are higher risks than others, and certain medications, treatments and procedures won’t be covered, because covering them would make plans so expensive that NO ONE would buy them. My erstwhile client directed me to ObesityLaw.com, which is “the first and premier advocacy practice devoted to representing the interests of morbidly obese persons in health care and discrimination matters.” While the site is heavy on the “sue the bastards” rhetoric, it does offer some ideas about different procedures and resources, as well. And there is apparently a pretty large grass-roots effort toward legislation to prohibit discrimination against the obese. Nationally, there are currently 25 different bills in congress that deal with obesity issues. So it’s not easily dismissed. My friend Bob Vineyard has pointed me to an article which really explains what bariatric surgery is - and isn't - and some of the other issues surrounding this controversial procedure. It doesn't settle the debate, but it certainly sheds additional light on the subject. I tend to be somewhat of a purist when it comes to insurance: it’s about managing risk, and that means defining what should and shouldn’t be covered from an economic, rather than a social, viewpoint. Now, before the flaming begins: I am aware that it seems oxymoronic that an insurer won’t pay for bariatric surgery, but it will cover the resulting heart-attack and quadruple bypass. I never said that insurance had to make sense. But think about it: there’s no way to exclude a heart attack that’s specifically caused by morbid obesity. This is a systemic issue, and there’s no way to appropriately (and legally) word such an exclusion. Not to mention, there’s little chance that said heart attack was caused solely by the obesity; there are almost always other factors, as well. UPDATE: Once again, a big InsureBlog Welcome to our Grand Rounds visitors. Please feel free to leave a comment, and to look around at some of the other posts here.